Have you ever been in a tournament situation when your match was called leaving you only a few minutes to warm up? Well this video is for you. 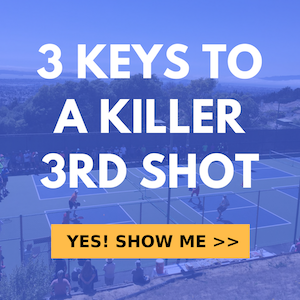 Today we’re going to go over a series of drills that we like to do that cover almost all the shots you’re going to need in a real game situation and you can get it done in 3-5 minutes. You can use this in a situation where you’re tight on time or if you simply want to get warmed up quickly so you can start playing.